We've known AWD BMW M cars were an inevitability, but to actually see one is something else entirely. So many emotions... have you decided to cry heresy or applaud the Bavarians' newly progressive attitude? Bimmerpost caught a glimpse of an unassuming F10 M5 in northern Sweden, but a few sneaky undercarriage photos they snapped prove this car is indeed putting power to all four wheels. 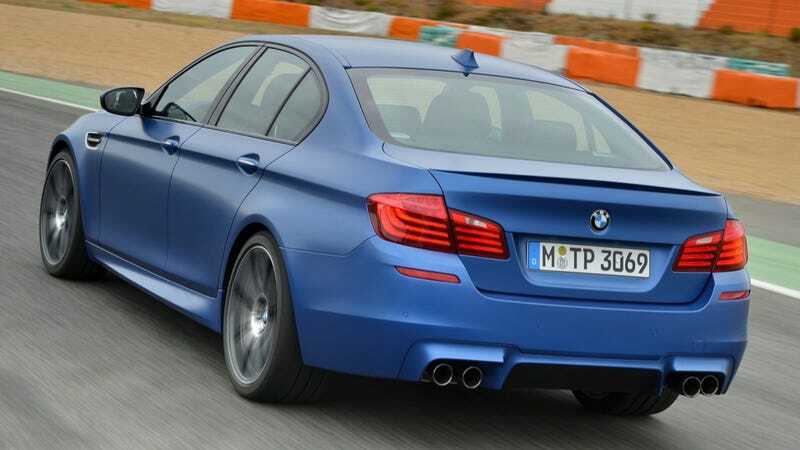 They say "there's no M5 xDrive listed in BMWUSA's model map for the 2016 model year," and that former BMW M Chief Engineer Albert Biermann has said this generation of M5 would stay RWD, suggesting this mule is testing an xDrive system for the upcoming generation of the vehicle.